The brain can recover from concussion! It’s well known, that the brain is fragile. Repetitive hits and concussions and degenerative illness can seriously impair a person and their quality of life, but the brain got also a fantastic power to regenerate itself given the right conditions. From birth until around 25 years-old your brain is “growing”, everyday creating new connections between neurones and also close some when neurone dies. After 25 the patterns of connections already establish are still continuously morphing as we learn, experience life and aged. Concussions and traumatic brain injury (TBI) can alter and disrupts theses patterns with negative lasting effects in a vast range of severity. In 2011 the Journal of Psychoactive Drugs published a study of more than 100 active and retired football players with TBI which showed that simple “lifestyle” modifications can improve brain damage and cognitive impairment. Changes included; diet, nutrition, exercise, omega-3, brain-centric vitamins, Stop smoking drinking alcohol and using illegal drugs. Biofeedback and Neurofeedback use your physiological activity to train your brain to function better. This technology enables You and Us to literally see what the body is doing in real time. It’s like having a mirror in which we can see the brain signals and physiological reactions. Using positive reinforcement and repetition we can make your brain learn how to work optimally. 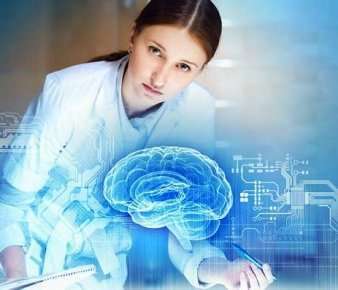 It is based on the concept of Neuroplasticity that prove that the brain can compensate injury, disease or other disorders by reorganizing itself by forming new neural connections. Neurofeedback help you creating theses connections. First, at Neurotherapy Montreal, after a complete deep assessment of your problem a team of specialists will develop a multifaceted personalized recovery plan for you that will probably included Neurofeedback sessions. Neurofeedback is completely painless and non-invasive! By applying electrodes close to the scalp, an Electroencephalogram (EEG) or a qEEG (q for quantitative). (See difference below…) recording equipment record your brain electrical pattern in real time. It permit, first, to compare your specific pattern against healthy brain patterns and after, using various predefined settings, to train your brain towards your specific goals by simply watching videos or playing games and specialized interactive software using you’re own “brain power” activity. After a group of session, you should see amelioration of your particular problem. 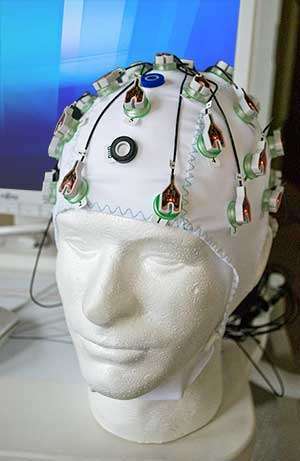 EEG record the underlying cortical brain activity. qEEG, go further and can compare the patient EEG against a normative database and help the clinician pinpoint the deviation or pathology from the norm. Yes, If the problem is not a degenerative condition like Parkinson, Dementia or some patients in the Autism spectrum, the acquired new capabilities of the brain will last and even reinforce over-time in good conditions. For this reason, Neurofeedback is a powerful tool use for many years at Montreal Neurotherapy Center to help patients suffering with concussion.